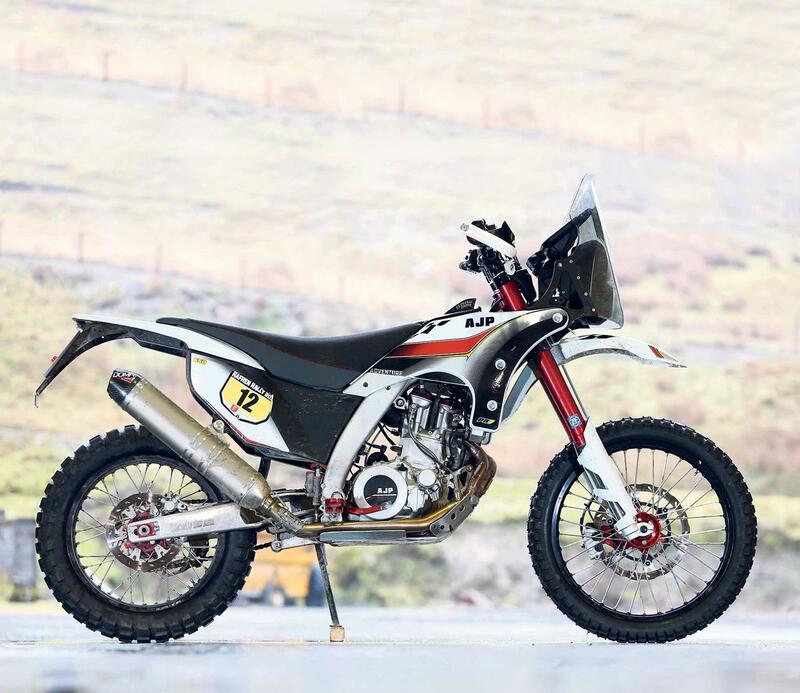 AJP might not be a manufacturer you're very aware of, but if you're looking for a completely authentic rally-bred trail and adventure bike, then their new PR7 might be for you. This is no lumbering adventure leviathan, but that doesn’t mean AJP have skimped on the spec and tech. At its heart, it’s a real off road bike: light, compact and agile, but also comfortable enough to be capable of delivering a day in the saddle without needing a proctologist to remove the bike afterwards and it's been designed to carry luggage, too. 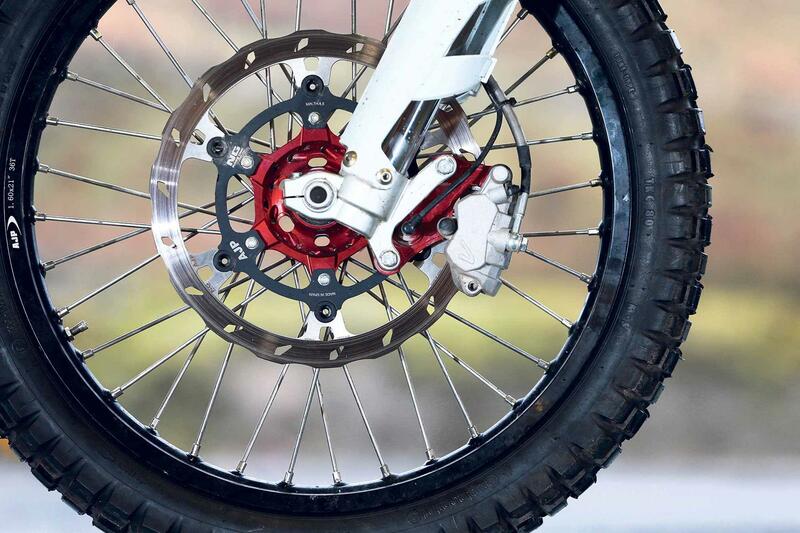 Standard features include a cush drive rear hub for smoother pick-up and drive; titanium header pipes nestle behind a serious HD bash plate; there’s a lightweight Shorai Lithium battery to help keep weight down, and high-spec fully-adjustable Sachs suspension at both ends, with the inverted fork being a fat 48mm in girth, with a generous stroke of 300mm at both ends. One of the nicest touches though is the Samsung Galaxy 6 Android tablet mounted up front like a 21st century road book. It enables the rider to download their preferred navigational apps, and can be used with a standard GPS, Garmin or TomTom. 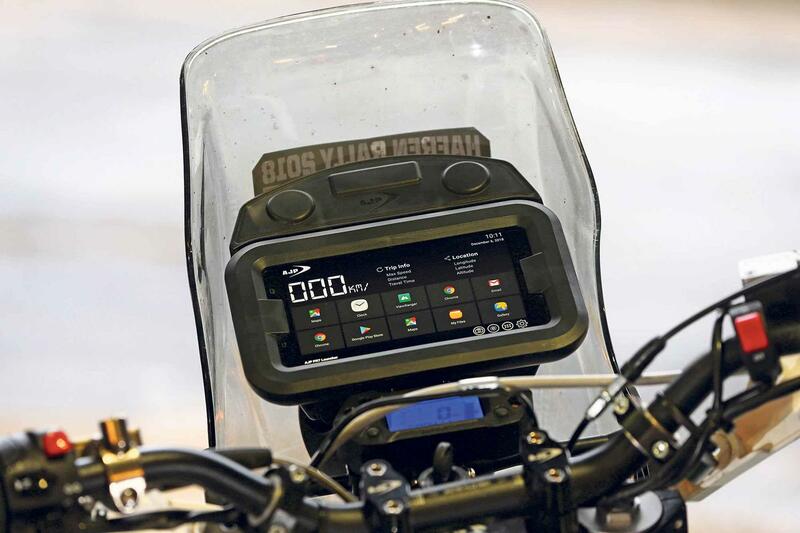 The tablet can also be used as a simple display with speedometer, timer, trip meter and more. There's also a handy USB port to enable to charge other accessories. 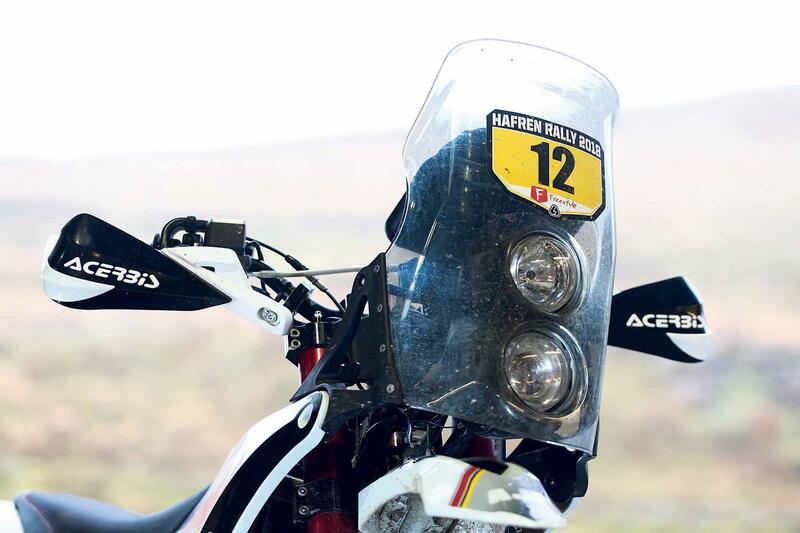 The fuel is carried under the rider’s seat, giving optimum balance and a 17-litre capacity for serious mileage from the 600cc liquid-cooled single. Available now at £8500+otr, you can read the full test in MCN and online imminently.